Mediaset has struck a deal with Perform Group, operator of the DAZN sports streaming service, to provide access to the service as part of its Premium Calcio offering for a reduced overall price of €19.90 a month. DAZN secured rights to 114 Serie A matches over the next three years last month and announced that it was launching its service in the country. Premium Calcio subscribers will be able to access DAZN without having to take other subscriptions, according to Mediaset. Users will need a smart TV or an internet-connected box to access the service, with is delivered as a streaming offering rather than a broadcast channel. Mediaset’s Premium Calcio offering also includes other content, including Eurosport 1 and 2. DAZN’s offering is available as a standalone streaming service for €9.90 a month. DAZN’s deal, which commences at the start of the 2018/19 season, will give it access to three live games a week plus all Serie A highlights. All matches streamed by DAZN will be available both live and on demand, on a wide range of devices, including smart TVs, PCs, smartphones, tablets and games consoles. 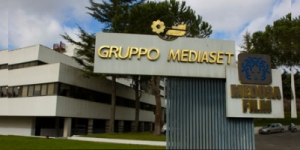 Mediaset, which unlike Sky did not secure Serie A rights as part of the auction round, said that it would “seek retransmission rights immediately” after Serie A football rights were awarded to Sky and Perform Group. Mediaset sharply criticised the way the Serie A packages had been structured, pointing out that the digital-terrestrial packages it had secured in previous auctions had included all the matches of the best italian teams. For the current round, La Lega Serie A has divided matches into packages according to time slots rather than award comprehensive packages for different distribution platforms.